My work, the one that actually pays the bill is as General Contractor. Along with quality, schedule, and budget a major issue that we deal with on a daily and even hourly basis is safety. We constantly inspect tools, ladders, safety equipment, and a hundred other items to ensure that our workers are safe. So who decides what is safe? Well in the construction industry as well as any other company of employment OSHA, the Occupational Safety and Health Administration sets the regulations for safety that we all must comply with. As a builder we have safety inspectors that are trained to OSHA standards to inspect our job sites and most workers are trained in either an OSHA 10 hour or 30 hour course. So where does a hobby wood worker fall into all of this…well as far as OSHA is concerned you don’t as OSHA only covers work by employees of an employer. But we can still learn from these regulations and use the standards in our own shops. Most of us know that we need to wear safety glasses in the shop but how do you know if they are really safety glasses or well… just glasses. 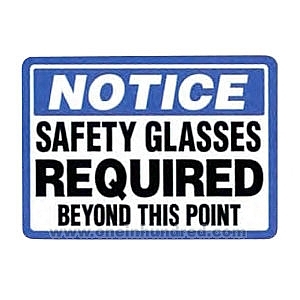 In order for safety glasses to be OSHA compliant they must be marked Z87, sunglasses and eyeglasses can shatter causing more damage to the eyes unless that are designed to be worn as safety glasses. If you wear glasses and don’t want to spend the money to get prescription safety glasses another option you have is to wear goggles over your prescription eye glasses as long as they still provide adequate protection. Another area that is a constant issue on job sites but we often do not think of in the shop is fire safety. Most of us keep a wide range of glues, stains, thinners, and finishes in the shop and all of these are a potential fire hazards. According to OSHA regulations flammables should be stored in an area that is not in the route to an exit or stairway. Up to 25 gallons may be stored outside of an approved storage cabinet but I recommend using a metal cabinet if possible, especially since most of us have our shops located in our homes. 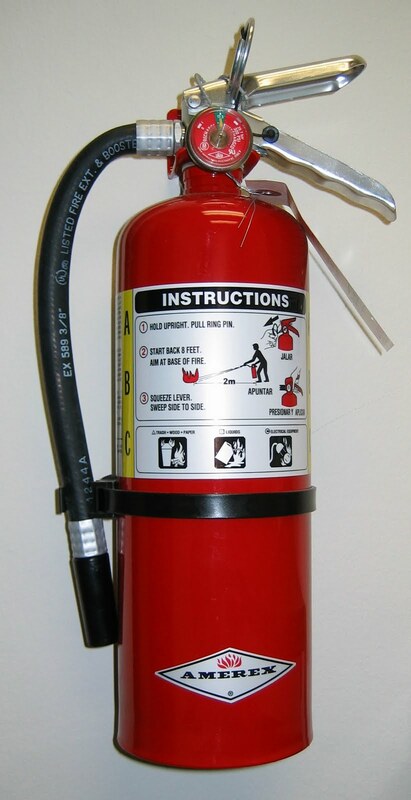 A fire extinguisher should also be placed within 25 feet of the stored materials. The last area that I will cover is by far too broad to cover in this but is tool safety. I am not even getting into the use but simple the tools themselves. This is a battle that we constantly fight with on the job site. When a tool is bought new that come with safety guards and material free of defect, then we start using them. Guards are often removed because we feel they get in the way, the guards are there for a reason and should be left to do the job they were intended to do. One of the most frequent defect we find on jobsites are extension cords and tool power cords that are damage and/or have improper fixes. Taping the ends of a cut cord in not a proper fix, the best practice is to put a new end on the cord at the cut or replace the cord. The point of this is that although our home shops do not fall under OSHA regulations, safety is just as important. To read more on OSHA regulation you can go to the OSHA web site at www.osha.gov. I agree Dyami. That would not make my shop as pleasant of a get away if I had OSHA inspectors dropping by. But I also think that the general ideas are sound. Well said, Chris. While I appreciate OSHA lessons and points,I'm glad they don't oversee my shop.